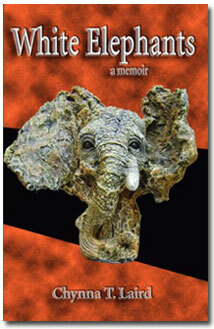 I read chapter four of White Elephants and am wanting more. This story is about the survival of the self (Tam) within a chaotic and dysfunctional family. Mom is bi-polar and drinks excessively. Cam is a 7 year old boy who goes along with the tide. It is the spirit of Tam that brings the story to life and makes the reader want to cheer her on. I'd be happy to recommend this book. WOW, Chynna! 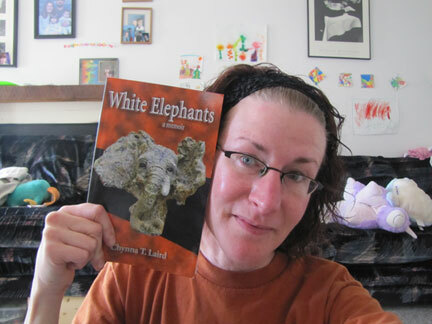 I got shivers reading about this experience in your life -- kudos to you for grabbing the "white elephant" by the tusks and wrestling this book out of that! I wish you all the best. Hello everyone! WOW! Thank you for stopping by. @ Amy: I so appreciate your recommendation. Thank you. @ Lisa: I'm so glad you felt drawn to the story and for putting it on your TBR list. Please let me know your thoughts if/when you've had the chance to read it. I THINK YOU ARE A SURVIVOR WITH A LOT OF COMPASSION AND STRENGTH TO SHARE YOUR STORY "FROM THE HEART." AND I WOULD ALSO LIKE TO HEAR MORE ABOUT SENSORY PROCESSING ISSUES PLEASE. I MIGHT BE ABLE TO HELP SOME OF MY LOVED ONES BY LEARNING MORE. IS IT TACTILE, AURAL,ETC. AND CAN YOU GIVE ME RESOURCE IDEAS? LOOKS LIKE I AM IN THE MARKET FOR UR SEQUEL TOO! Wonderful interview, ladies! :) Chynna, congratulations on your blog tour launch, and thank you so much for sharing your story and your heart to help others. @ Suzy: Thank you so much for your comment and for joining us today. As for sensory issues/resources, I invite you to join my blog 'The Gift' which is focused on children and families living with SPD, Autism Spectrum and other special needs. (www.the-gift-blog.com). I have TONS of resources listed on there and if you need anything further or would like to chat in private, just contact me through my site. What a great interview. It's so inspiring to see people share their story. Someday I hope to be healed enough to do the same. Wonderful interview. I'm sure it was painful to re-live parts of your past by writing about it, but I'm so glad you did! Hopefully your experiences will help others. You're a strong woman, and I'm in awe. I just wanted to stop by and say how much admire you, Chynna--everything you are able to accomplish and all the things you have going on. You are an inspiration to me! :) I just love you and I've never "officially" met you--if I ever make it north. . .:) And I plan to follow your blog tour around. Yes, I can't even imagine how painful it must have been to write this - and take out the anger and bitterness to let readers feel emotions bubble up on their own. It's a little embarrassing for most memoir writers to reveal their intimate lives, so I know you are very brave to do this! Best wishes on the success of this book and on helping others with your story. You will, Dianna. Take time to heal first then write. Or start with journaling. That's what I did. Thank you, Patricia for dropping by. I think it was more painful during the editing process than actually writing it because it was like going over and over it, you know? But, at the same time, it helped too. Oh Margo. You made me cry (not that it's hard to lately. LOL!) That is the highest of compliments coming from you since I have tremendous admiration for you too. I know we'll meet up one day. We'll have to because I owe you a HUGE hug and it needs to be given in person. =) 'See' you again very soon, I'm sure. HI Linda. Yes, it was difficult. For me, I wasn't as embarrassed to put the story out as I was anxious for how some people involved in the story would feel about it. I was very careful not to tell the story from anyone's perspective but my own. What I mean is that even though my brother was in a good deal of the earlier recollections, I never spoke for him or his feelings. Those are HIS and I wouldn't be brave enough to tell his story. I'm not afraid or embarrassed to talk about what I've been through. That's the only way to deal with things, right? I admire your willingness to share your own experiences in a way which can be beneficial to others enduring similar circumstances. Hi Jeff! Thank you so much. I truly hope my story can help others. Even if just one person feels less alone, it's worth it to me. I loved this book. I think Chynna is very brave and I admire her ability to have compassion for her mother while still addressing the White Elephants. Just wanted to add my congrats to you, Chynna! Your stick-to-it-ness is inspiring on so many levels! Aw, Cathy....thank you. Sometimes it's an exhausting characteristic to have. But for me it's better to be tired from forging ahead than to be crushed from giving up. I am going to recommend this to a friend who had some abuse issues as a child. Thank you slb. I hope they can find some comfort in the book. 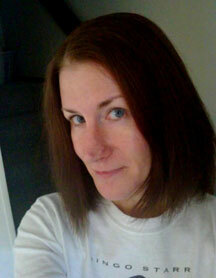 Feel free to pass along my blog information too. Happy Friday! Thank you for your thoughtful comments. We held a random drawing via Random.org and it picked Patricia Kiyono's comment! Congratulations, Patricia! You won a copy of White Elephants by Chynna Laird. I didn't see your email addy on your blogger profile so please email us at blogtour@wow-womenonwriting.com and send us your mailing address. Congratulations, Patricia! I hope you enjoy the book. Please let me know your thoughts once you've finished it.